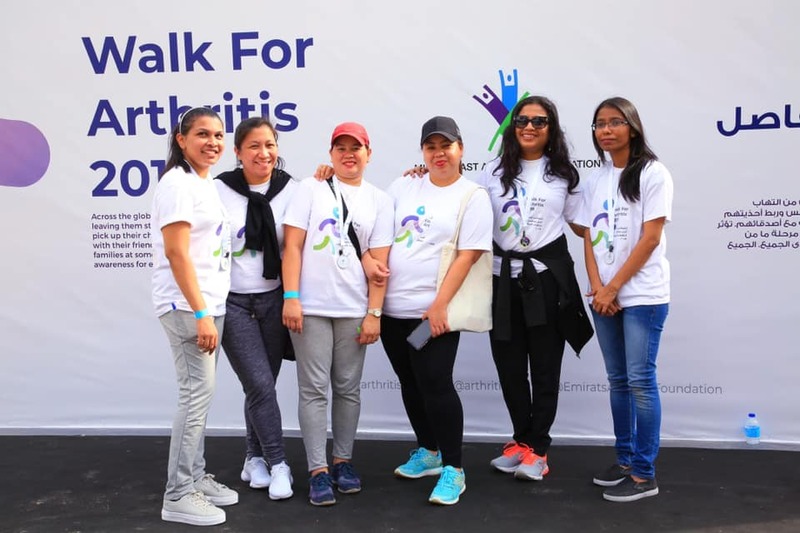 Dubai, UAE, 13th March 2018 – This April, the Middle East Arthritis Foundation (MEAF) is walking towards making a difference to people in the UAE living with arthritis. Supported by Dubai Municipality, Abbvie, Pfizer, Novartis, Eli Lilly and Janssen, the arthritis awareness walkathon “Walk for Arthritis” is free to the public and will take place on Friday, 6th April 2018 from 7.30am at Dubai Creek Gate no 2, Umm Huriar. People are encouraged to attend and to learn factors associated with arthritis, and to walk on this journey to promoting a pain-free life. The 3.5km walkathon will feature interactive exercise sessions on pain management and movement making health a priority to people in 2018. The Middle East Arthritis Foundation has taken colossal steps to conquer this crippling disease. “Every day millions of lives are affected by arthritis and we’re ready to take a stand,” said Dr. Humeira Badsha, Founding Member of the Middle East Arthritis Foundation.